KIA Service and Repair in Walnut Creek | Frank's Auto Service & Repair, Inc.
Frank’s Auto Service is a friendly Walnut Creek auto repair shop where you can bring your Kia for factory recommended maintenance, oil service, diagnostics or for major repairs. Serving Walnut Creek for over sixty years, our family-owned auto repair shop will take good care of your vehicle. 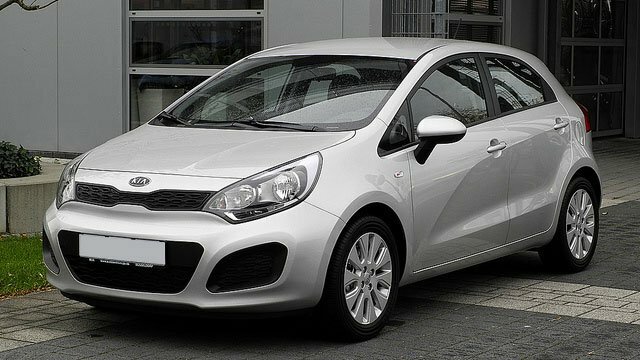 Kia requires regular maintenance – all vehicles do. Whether you drive Kia Sportage, Sedona, Spectra or Sorrento, our friendly staff will take good care of your vehicle. We recommend following manufacturer recommended schedule of services, as well as regular oil service. When you bring your vehicle to our Walnut Creek Kia repair shop, we provide a complimentary inspection – we check belts, hoses, battery, tires, and other subsystems, so we get a good picture of the overall health of your car. This inspection gives us opportunity to spot developing problems before they manifest as breakdowns or expensive repairs. When you service your Kia with Frank’s Auto Service, this satisfies manufacturer requirements to keep the warranty in force. Our nationally ASE certified mechanics are highly skilled at diagnosing and repairing issues your Kia may face. There are some Kia models that are prone to specific issues - 2007 Kia Rio is known for engine problems, 2013 Kia Optima is known for steering issues, while 2002 Kia Sedona has been known to face electrical issues. If you suspect that your Kia is not 100% healthy, bring your vehicle to us for a checkup. Your Kia can provide years of faithful service, and is easy on the pocketbook. All it requires is a bit of TLC now and then. At Frank’s Auto Service in Walnut Creek we can keep your Kia on the road, and performing reliably. If you have any concerns about the health of your car, give us a call. Appointments are easy to set up – you can do so online, or simply call us.